I’ll be the first to admit it: I bought this story hook, line and sinker. It had all the right elements to be believable: a Senate majority leader going on the record to confirm a report by a former Pentagon employee told to Pulitzer Prize-winning journalists. Those facets made the story rock-solid on a pure reputational basis, and made people like me who want to believe less likely to criticize the holes in the piece. The company modified buildings in Las Vegas for the storage of metal alloys and other materials that Mr. Elizondo and program contractors said had been recovered from unidentified aerial phenomena. In addition, researchers also studied people who said that they had experienced physical effects from encounters with the objects and examined them for physiological changes. The only hard evidence provided in the NYT account is a video of an unknown object traveling at what the Department of Defense says to be unreachable speeds, but that is not obvious to the naked eye. With the focus fairly steady and no definitive background to compare it to, it seems as if the unidentified drone-like object is simply gliding through the air, and the video without the explanation would surely not provide conclusive evidence. Whether you’re a skeptic or a believer like me, I urge you to read this debunker in NYMag. This simply looks like a story where Harry Reid’s buddy ran out of government money, and is now in the middle of a fundraising push to promote stories like the one that appeared in the Times. The UFO video provided is not new, nor was the NYT’s story, yet it was presented as such. 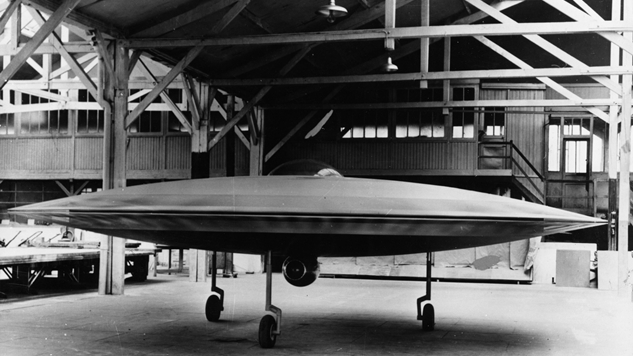 This is a topic where a more evidence than we think exists—like this declassified CIA memo saying the U.S.S.R. and China were studying UFOs—and a scoop saying that a government program for UFOs exists is nothing new. The most harrowing parts of the NYT’s article have no proof of their assertion, and one assumes that if they did obtain it, they would produce evidence that the government holds unknown alloys that can have physical effects on humans. I want to believe the Times, but after looking at this story more critically, I just can’t.